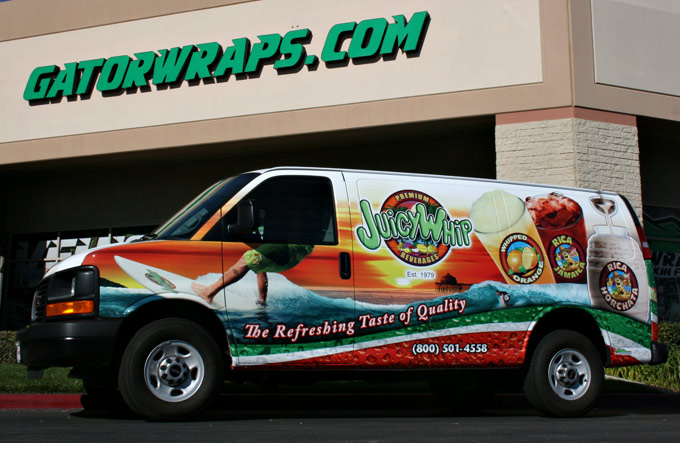 Vinyl wrap is all the rage these days, especially as a way to advertise for your business. So, what exactly is the stuff, and why do people love it so much? Vinyl is a sticky, plastic substance manufactured from oil and salt that we use for many everyday items. If you’ve ever put a mailing label on an envelope, walked on a floor made of plastic, or groggily smacked the side of your alarm clock, you’ve come into contact with vinyl. Vinyl wrap is analogous to a tough, oversized sticker that covers your entire vehicle. While stickers damage your car by leaving residue all over your paint, vinyl wraps don’t leave anything behind. 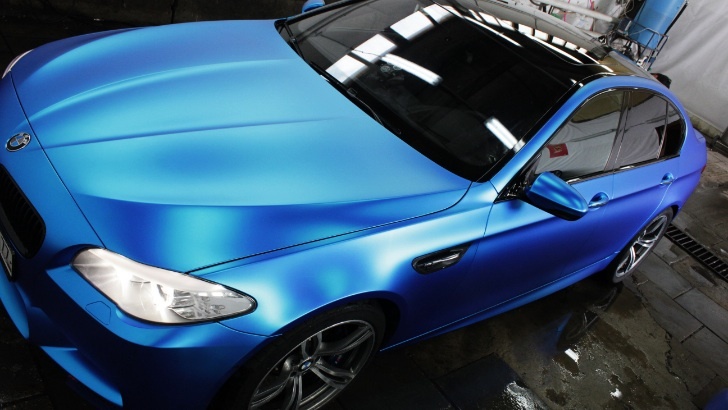 In fact, vinyl wrap jobs actually protect your car. When installed by professionals, they extend the life of your paint job by preventing damage from scratches, dings, and UV rays. Any color or design you can think of can be displayed with wrap on your vehicle without jeopardizing its paint. The underlying color of your car doesn’t matter either; it can be completely covered by the vinyl and it won’t bleed through the images. If you want to make your black VW Beetle hot-rod red, you can do so without the expense and devaluation involved in repainting your car. You can also choose to place advertisements and company decals on the sides of your vehicle. For example, you could place your logo on the sides of the company van. Alternatively, you could place a full color, full size advertisement on the van. How much wrap you use is your choice, and you can always change the wrap to a different design later on without harming the vehicle. Brushed Metal: Brushed metal has a rougher texture than a regular paint coat. Matte: A matte finish creates a smooth, creamy color that isn’t as bright and sparkly as some of its counterparts. It highlights a car’s contours and edges, making it especially popular with sports car owners. Gloss: The gloss finish most closely resembles a factory paint job. If your goal is to swap colors without changing the textural look and feel of your car, gloss is the way to go. Satin: Satin is the veritable middle man between matte and gloss. It is less shiny than gloss and less earthy than matte. Chrome: Chrome finishes produce eye-popping, bright, reflective colors that look like they fell out of a high-definition movie. Chrome is for making a statement with your car. 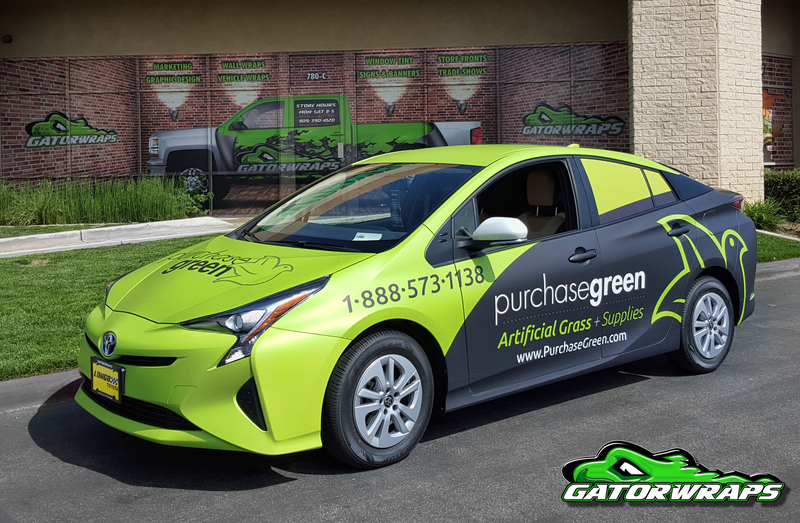 So, vinyl wraps are a great option for car owners tired of their vehicle’s current look or for business owners looking to turn their cars into moving advertisements. Do you have other questions about vinyl? Let us know and contact us!